Each year, Mansfield Fellows have the unique opportunity of an audience with members of Japan’s Imperial Family. Since the program’s inception, Fellows have met with the Imperial family as a result of the high regard in which Senator Mike Mansfield is held even years after his passing and the strong relationship he enjoyed with the Emperor. In addition to being the longest serving Senate Majority leader, Senator Mansfield was also America’s longest serving Ambassador to Japan. 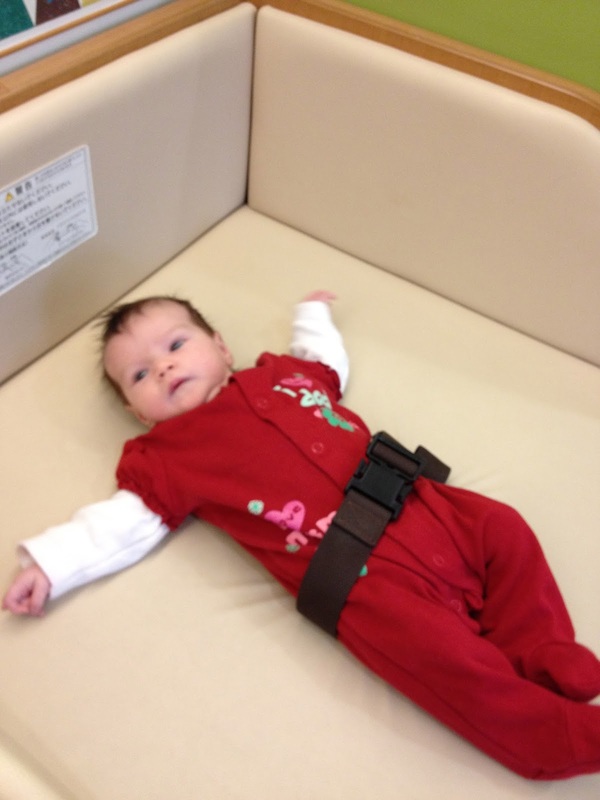 Someday our daughter might wonder why she was born in Japan and want to know more about our time here. While this is not terribly exciting for others, I would be remiss if I did tell her about meeting the Crown Prince while she was getting over a small cold and Daddy was meeting with the movers. Prior to the meeting, we were given instructions regarding the protocol for the afternoon. We were advised to dress in Cool Biz (business casual in response to the summer heat and energy conservation measures). We would have a 30 minute audience in which we were advised to avoid political conversations followed by a private tour of the gardens. If we addressed the Crown Prince or Crown Princess, we were instructed to refer to them as Denka and Hidenka respectively (Your Royal Highness). I had hoped the Crown Princess, who has recently resumed some duties, would be in attendance, but she was not. Perhaps next time, ne? After we arrived, we were escorted into the room where the audience would be held. The large room was sparely furnished with 2 tables and 6 upholstered chairs to accommodate our group. The few furnishings highlighted the room’s beautiful wood paneling and bucolic view over the small garden just outside the floor to ceiling windows. Household staff went over the protocol a second time, showing us where we would sit, and lining us up in order for our initial greeting. Finally, there was a knock on the outer door signaling that he would enter, which was bookended with a second knock on the opposite doors when his time was finished. Our handler introduced himself with a very deep bow and the most honorific of Japanese. In Japanese, there are multiple levels of polite speech, with special honorifics used when addressing a member of the Imperial Family. Fortunately, we were not required to learn anything beyond Denka, though we were instructed to use Japanese since a primary purpose of our program is to learn Japanese. We could see tanuki, a fox-like animal native to Japan, from the window overlooking the garden. The latter provided some levity as it kept darting across the lawn. I’d never seen one before so I jumped out of my seat when he invited us to have a look. The Crown Prince was seated next to me and could see that I was having trouble seeing it from my position. Unfortunately, our handler didn’t hear him say “mite kudasai” (please look) and was surprised when I jumped up not once, but twice during our audience to see the tanuki. Fortunately, no one attempted to wrestle me to the ground and the audience concluded without a headline-grabbing international event. 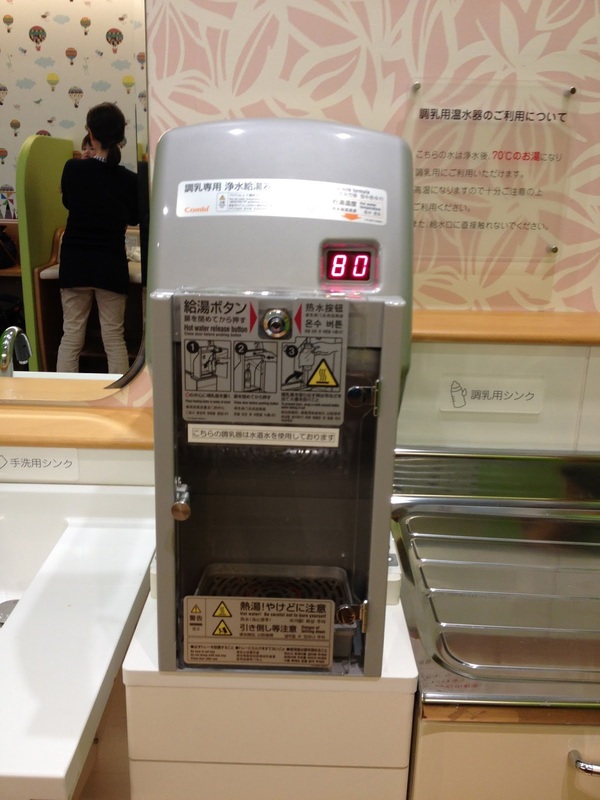 One of the most interesting things about returning to the Japanese workplace has been accomodating pumping around an environment that is simply not accustomed to it. In a country where there are so many baby rooms that there is a special smartphone app dedicated to finding a place where you can diaper, bottle or breast feed your baby, most workplaces have almost no experience dealing with the needs of pumping moms. Namely, a private area and planning around evenly spaced 20-30 minute pumping sessions several times a day. 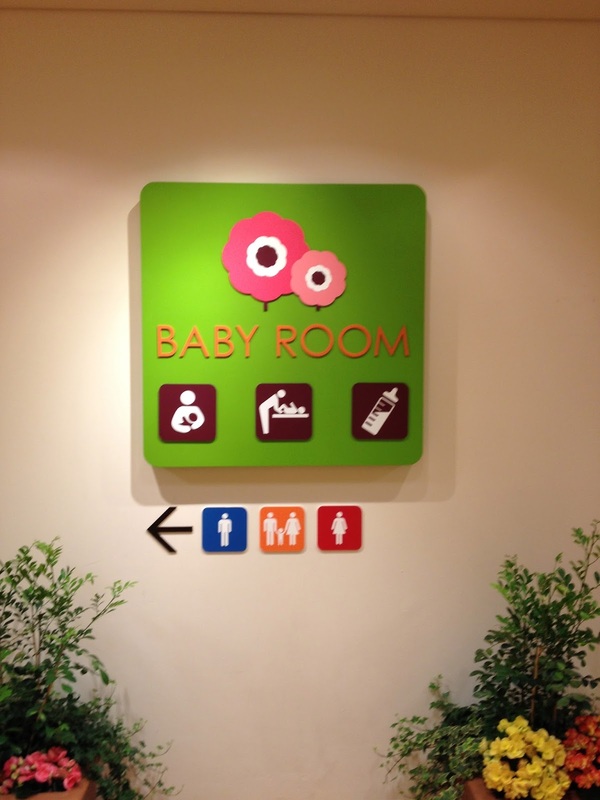 A very simple, but completely unexpected lactation area at the Hiroshima Carp stadium. I've since found them at every baseball stadium we've visited. 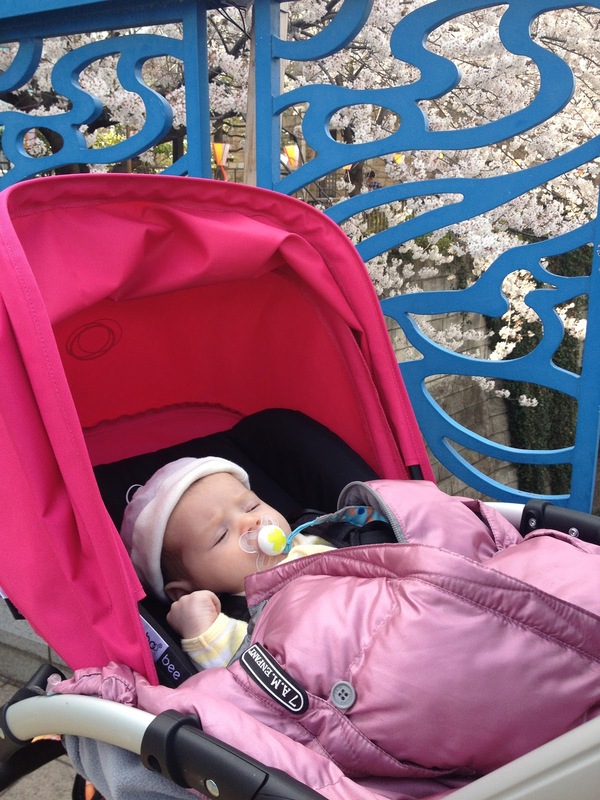 Women in Japan can take up to year of partially paid parental leave and at least some government agencies allow mothers to take up to 3 years of unpaid leave and still return to their agencies. Not surprisingly, this is also reflected in the marketplace, where double pumps, hands-free pumping bras, and other related items are hard to find. Women might keep a single pump for the occasional afternoon away from their baby, but few need to pump routinely. Maybe I can work here next? 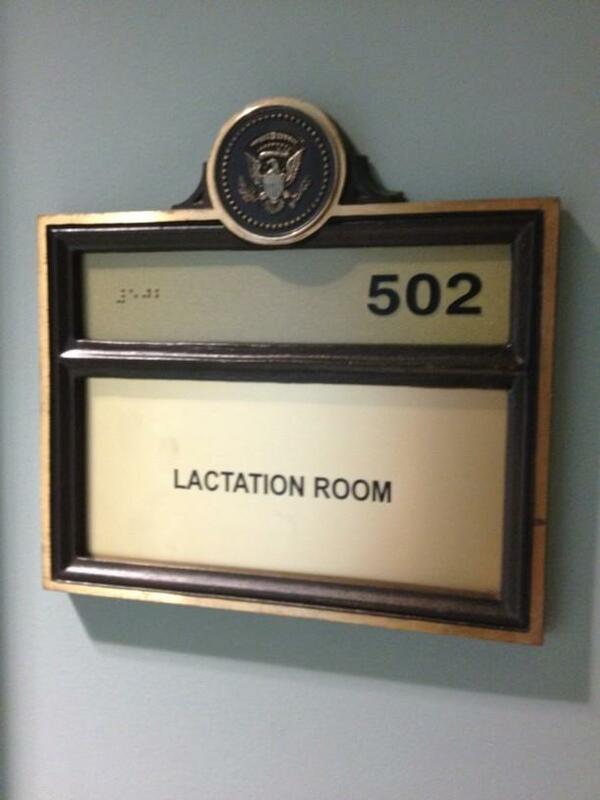 A lactation room at the White House. Beyond the lack of demand for pumping rooms, the Japanese workplace is not very conducive to it either. Everyone sits at adjoining desks in an an open room, and it’s unusual for people to leave their desks. If I were to work long-term in a Japanese office, I might take up smoking just to have an acceptable excuse to leave my desk every few hours for more than a bathroom break and lunch. In any case, the point is there is no privacy and people are always aware of your comings and goings because they sit right next to you. But three times a day, I mysteriously disappear with a black backpack for about 30 minutes. A lactation consultant unfamiliar with the Japanese office recently advised me to try and pump at my desk so that I could squeeze in an extra session without taking more time from work. Now that would attract some attention from, well, all 60 people in my completely open office. Despite these issues, each of my offices has been very accommodating even if they are not always sure how to handle the situation. I was amused to be given a tour of possible lactation rooms with 3 male colleagues, and then barely contained my laughter when one honked imaginary breasts whenever he said “pumping.” It's been quite a learning process for all of us. 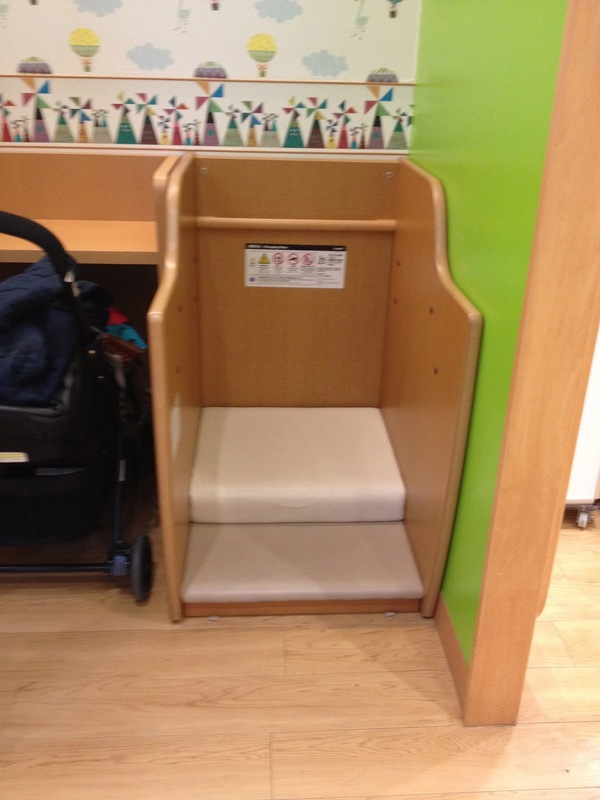 I'll miss the amazing baby rooms. 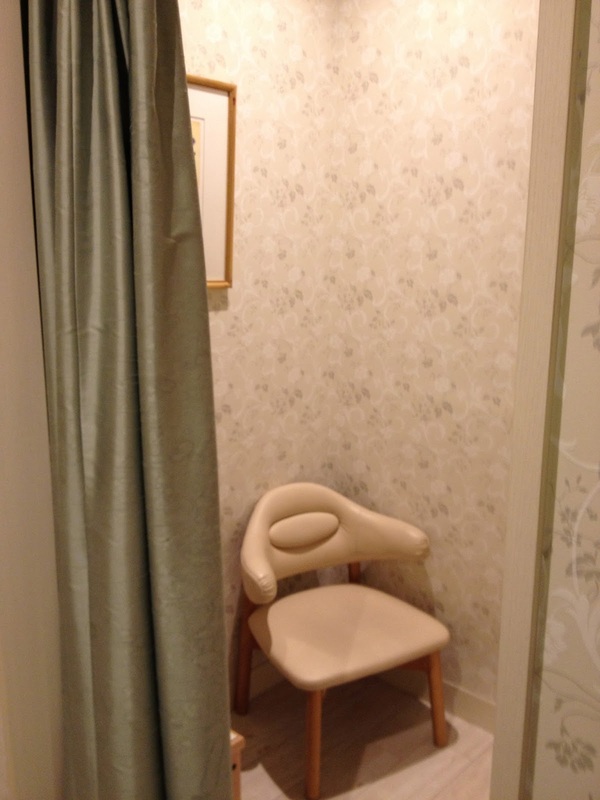 Check out these pics from the Mitsukoshi Department store. 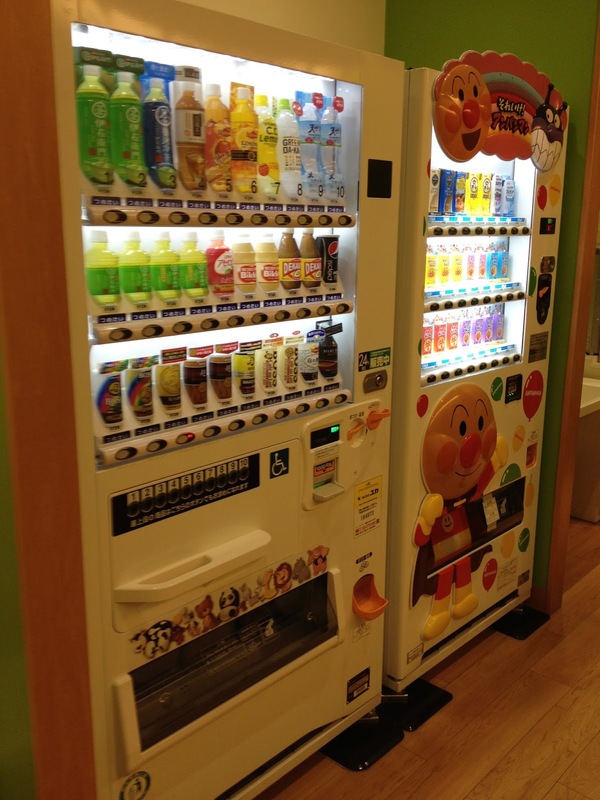 Vending machine for drinks for you. Options for older kids too. She was a bit smaller here at around 2 months. Hey, That's Not a Water Fountain! As part of our continuing series, “You Can’t Fix Gaijin," I recently had a moment at my current placement at the Ministry of Foreign Affairs. I could tell you about what I’m doing or how it feels to balance work and a baby, but my discovery of another personal hygiene contraption is far more interesting. After lunch the other day, I stopped for a sip of water at the water fountain. I didn’t question why the water fountain was in the bathroom, rather than the hallway – lots of things are different here. Don’ t worry, this story isn’t that gross. No sooner had a strange minty flavor hit my tongue than I realized that the water was an equally strange, frothy white color. 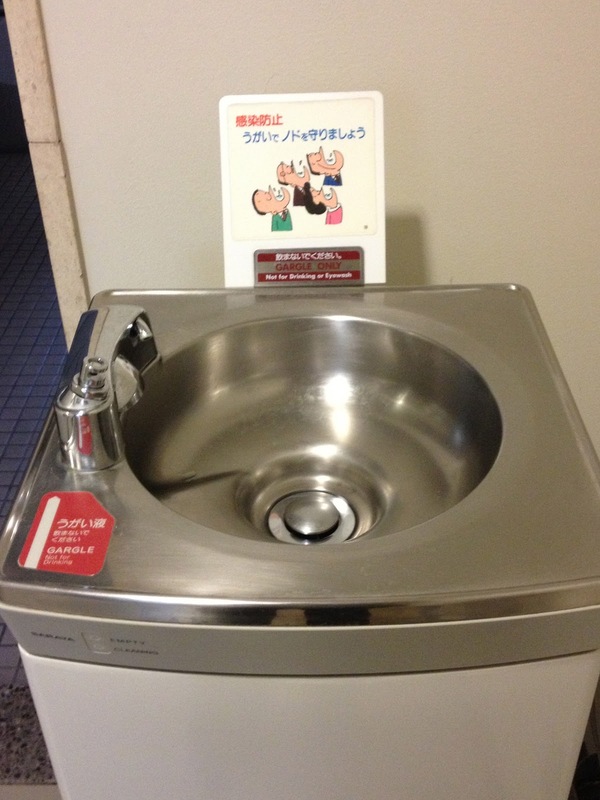 I yelped, certain I’d poisoned myself, and then noticed the English sign saying that it was a gargle fountain. Of course, the other women in the bathroom asked if I was ok and I had to explain that I didn’t know it was a gargle machine and not water. If you want a quick refresh, you can gargle the faintly mint liquid and spit it out in the basin. The remains will be washed away by a separate water spout. Just don't drink it and, for god's sake, don't spray it on your eyeball. I routinely wash my eyes at a water fountain, don't you? Under the picture of the garglers, it says, "Not for drinking or eyewash." I’m never at a loss for new experiences here. A few visitors are coming our way in May and June, prompting me to think about recommendations. If I could give only one recommendation, it would be two simple words, lunch set. Or in Japanese, ランチセット　(ranchi setto). Whether traveling with kids, by yourself, on or not on a budget, the lunch set is the way to go in Japan. Why? 1) It’s a complete meal, often including a drink and /or dessert, or at least the option to add those things at an insignificant cost 2) There is usually a display or photos of the available lunch sets, making it easy to choose without knowing much Japanese. A la carte menus are less likely to have displays, especially at smaller places 3) It’s a shockingly good deal. Below are a few recent lunch sets that are on the normal to small side. You can find far more elaborate lunch sets. 840 yen for a bowl of tempura over rice, homemade soba noodles, and some tofu. On the smaller side, 780 yen for bibimbap and miso soup. The chopsticks are for the soup and the spoon is for the rice bowl. I think this heavy plate of food weighed more than her. Drink, bread bar, and dessert also included. The lunch set is so popular that people often try out lunch first at an expensive, new restaurant before going back for dinner. Many of Tokyo’s Michelin starred restaurants offer amazing set lunches, often just smaller portions of their dinner menus at a much reduced price. Are these filling? Absoluteley. It would be easy to make a more elaborate lunch set your main meal of the day and then enjoy an izakaya (Japanese pub), a yakitori-ya (grilled chicken and meats-on-a-stick shop), a ramen-ya (ramen shop) or other casual options for a lighter dinner. If you’re not travelling with children, the benefit of going to one of these places for an easy dinner is that the salarymen are often several beers or shochus into their evening, relaxed, and wanting to strike up conversation, or maybe even share their bottle of shochu with you. You might encounter this less in Tokyo where foreigners are more commonplace, but it’s surprising how often people do try to strike up even limited conversation with you. When I went to Mama and Me yoga last Wednesday, I assumed my biggest challenge would be to keep our little girl occupied. I did not anticipate continually fending off the advances of a 6-month old Lothario. They start so young nowadays…. No sooner had I laid Lindsay down on a makeshift bed and tucked her under a blanket than Lothario crawled over while my back was turned. In the time it took me to get a yoga mat 10 feet away, he had already “sauntered” up to her and was attempting to pull back the blanket. Seriously, he had the blanket in his cute, chubby hand and was pulling it back. Actually, since he’s nearly 3x her size, he looked less like Lothario and more like King Kong preparing to pluck his heart’s desire from the building. We all had a laugh, his mother collected him and we began the class. Much to our amusement, he was bent on wooing her, approaching a second, third, fourth and finally, a fifth time. The last time, it seemed he came on all fours bearing gifts. He had rattle in his hand that banged on the floor every time his hand came down. I was watching closely to make sure he didn’t get too close with the toy and accidentally bang it on her head, but just as I was about to intercede, he dropped the toy and continued his approach. Perhaps he was mesmerized by her beauty and forgot all other earthly pleasures? During this time, an older woman took a shine to Lothario. A 9-month old Mrs. Robinson kept trying to get his attention, even giving him her lovey at one point. Her mom stopped dead in her Warrior 2 tracks to exclaim, “She’s never given anyone her lovey before!” But poor Mrs. Robinson just didn’t seem to understand that Lothario likes the young ones. Unfortunately for Lothario, Lindsay barely seemed aware of his existence. That’s my girl! Giri giri, meaning just in time or just barely, is one of my favorite Japanese words. Unfortunately, I do most things giri giri, assuming giri giri stretches to 5 or 15 minutes delayed rather than just being called late. 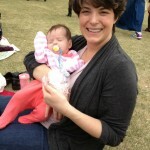 Fortunately, I now have a good excuse in the form of a cute little baby to cover my giri giri ways. Giri giri style, we just barely enjoyed a family outing to enjoy the blossoms before they faded. You can never truly miss cherry blossoms in Japan since the trees are planted everywhere the concrete truck missed, but we nearly missed the experience of "hanami" or cherry blossom viewing. 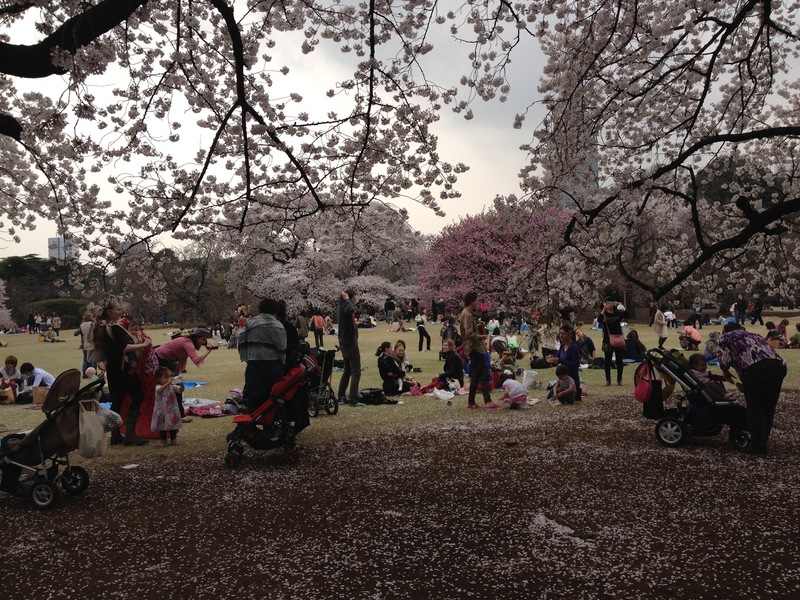 I've always found hanami to be one of the most festive times in Japan. It seems as if everyone collectively relaxes for the few days that sakura bloom in their town. Everyone, I mean everyone, takes a break from normal life to enjoy hanami, which usually involves some sort of outing, usually including food and probably alcohol. It's not uncommon for offices to send a junior staffperson out in the morning to secure a good spot for the evening's party by sitting in it all day long. It's one of the few times you feel like people take an unplanned break since you can never know very far in advance exactly when the sakura will be in full bloom. 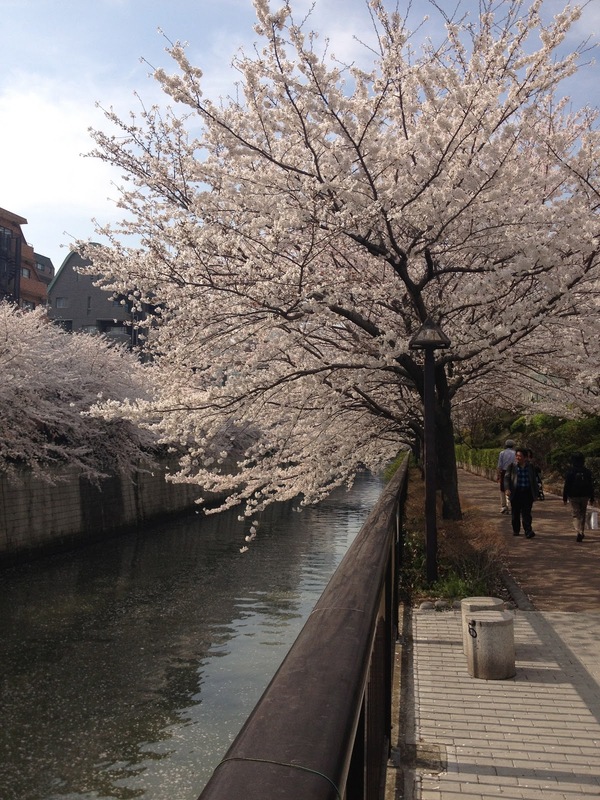 This year's peak sakura in Tokyo were about 10 days earlier than average. 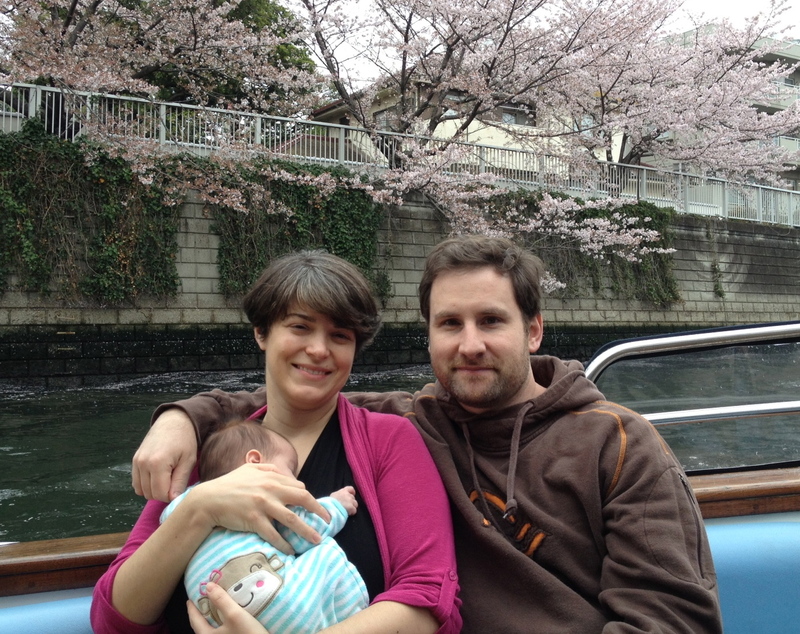 There are many famous hanami spots in Tokyo and we made it out to a few of them this week. Jason had a hanami walk with his NIDS colleagues one evening, while Lindsay and I made it out for a stroll along the Meguro river on Thursday and a picnic at Shinjuku Gyoen on Friday. We wanted to have a family activity over the weekend, but the weather turned cold and rainy, canceling a nice picnic or stroll in the park. As giro giri luck would have it, I saw that a restaurant near us was running cherry blossom river cruises, called at 10:30 am about availability and learned there was a cancellation for the 11 am cruise. Somehow we managed to make it out the door and walk to the dock only minutes before the boat departed. Enjoying a stroll along the Meguro River. 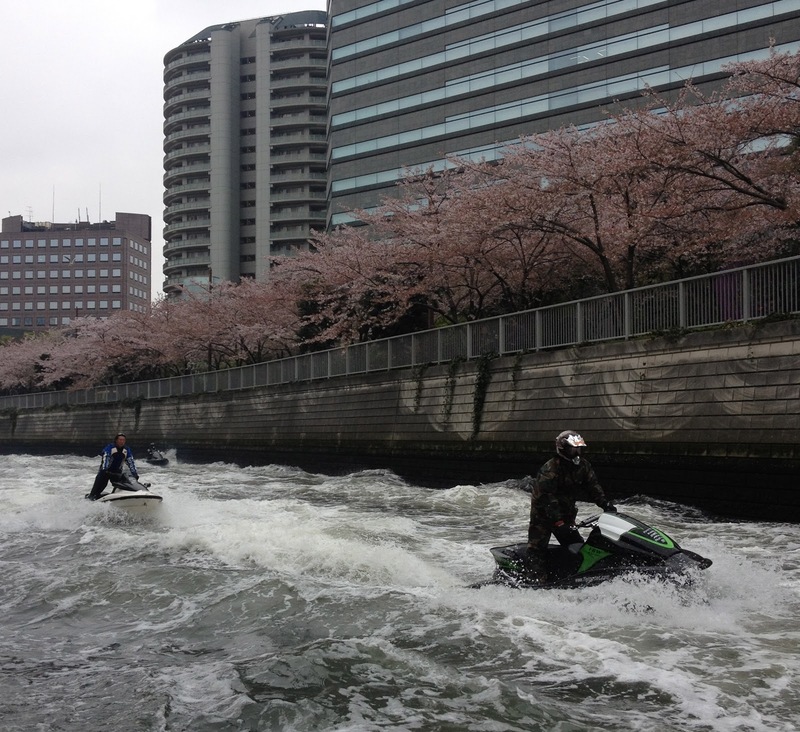 Hanami on the Meguro River.